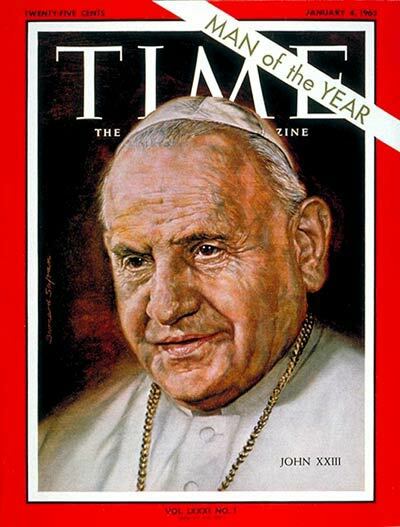 Time 's "Man of the Year"
The Year of Our Lord 1962 was a year of American resolve, Russian orbiting, European union and Chinese war. In a tense yet hope-filled time, these were the events that dominated conversation and invited history's scrutiny. But history has a long eye, and it is quite possible that in her vision 1962's most fateful rendezvous took place in the world's most famous church—having lived for years in men's hearts and minds.